Gym wars: Survival of the fittest Jump to media player With household budgets squeezed, the health and fitness club sector has not been growing much, but two types of club are thriving. The end of the jumbo? Jump to media player With the order book for the most recent jumbo jets by Boeing and Airbus looking sparse, BBC News explains why the outlook for the jumbo is not looking good. Net neutrality: Whose side are you on? Jump to media player Net neutrality is often cited as one of the key issues that will shape the future of the internet - but what does it mean? Are fossil fuel reserves too large? Jump to media player BBC News looks at the idea of "stranded assets", part of the debate on climate change and global energy policy. How much is the sea worth? Jump to media player As the WWF releases a report on the economic value of the world's oceans, BBC News looks at their findings, and the value of auditing nature. Why is #oomf so popular online? Jump to media player The enigmatic hashtag that just keeps on trending - in particular on Twitter. With household budgets squeezed, the health and fitness club sector has enjoyed little growth in the past five years. In terms of overall members, the biggest health clubs remain David Lloyd and Virgin Active. 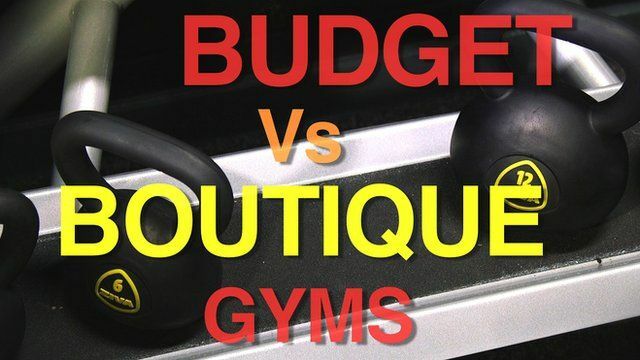 But two new types of business model are on the rise, known as the 'boutique' and 'budget' gym. Boutique gyms are more expensive: small, often chic clubs that specialise in instructor-led sessions. They claim to be offering a "lifestyle". Budget gyms - like Pure, The Gym and Kiss - are 'no frills', so they don't have expensive facilities like swimming pools. They stay open 24 hours by using an automated security gate system, and their prices are cheaper than the larger, middle-of-the-range clubs. Video journalist Dougal Shaw took a tour of two gyms, with Giles Dean, chief executive of the 1Rebel boutique gym, and Humphrey Cobbold chief executive of budget chain, Pure gym. Go to next video: The end of the jumbo?